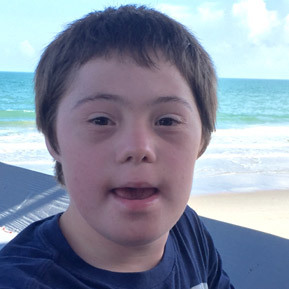 Justin is 11 years old and he’s living with Down syndrome. He likes to swim, play games on his iPad, and he LOVES music! Justin is really looking forward to all the rides at Disney World and the airplane ride as well! WE’RE SO EXCITED TO FINALLY MEET YOU, JUSTIN! Leave Justin a sweet message in the comments below! If you’d like to help support Justin’s trip, click the link below!